Lake Eyre is the lowest point in Australia and on the rare occasion that it fills it becomes Australia’s largest lake. With or without water, Lake Eyre is spectacular to view from above. The shapes and colours of this extraordinary landscape offer a rare and inspiring insight to the Australian outback. For an amazing 4th year running, waters from the north are again flowing into the Lake. Don’t miss out on witnessing this extraordinary natural phenomenon as the water generates a new life force and transforms the landscape from a barren salt lake into an abundant wildlife sanctuary. 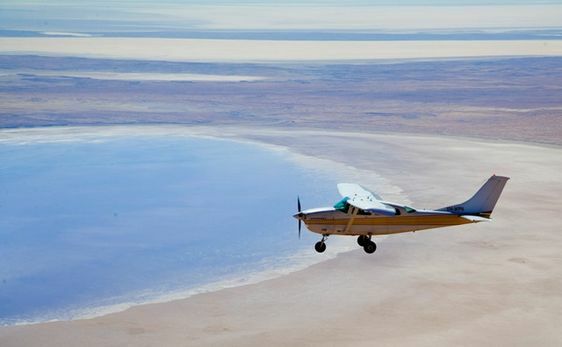 Wilpena Pound Resort has a special 3 night package offering visitors to the Flinders Ranges the opportunity to explore Lake Eyre from the air. Read More. Plus, Air Wilpena has special Flood Flights available from Wilpena Pound Resort. Read More.